Yvonne here with a spring card. 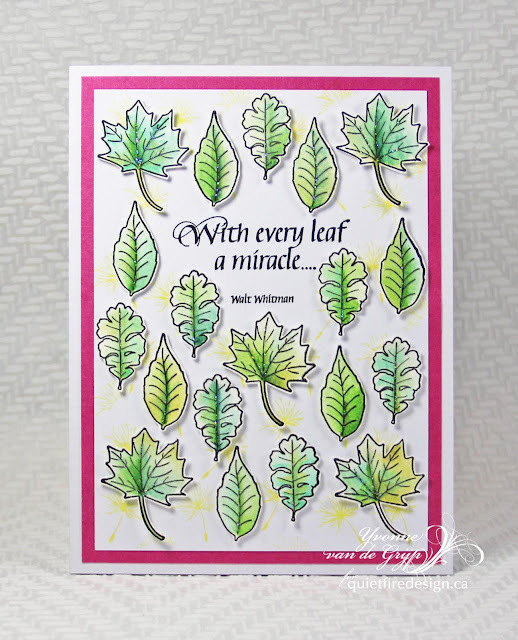 I used the "autumn"stampset "Leaves" to show you you can also make a spring card with the set. For the background I used the dandelion stamp from the stampset "A rustle in the wind"and stamped with yellow ink for the spring-effect. 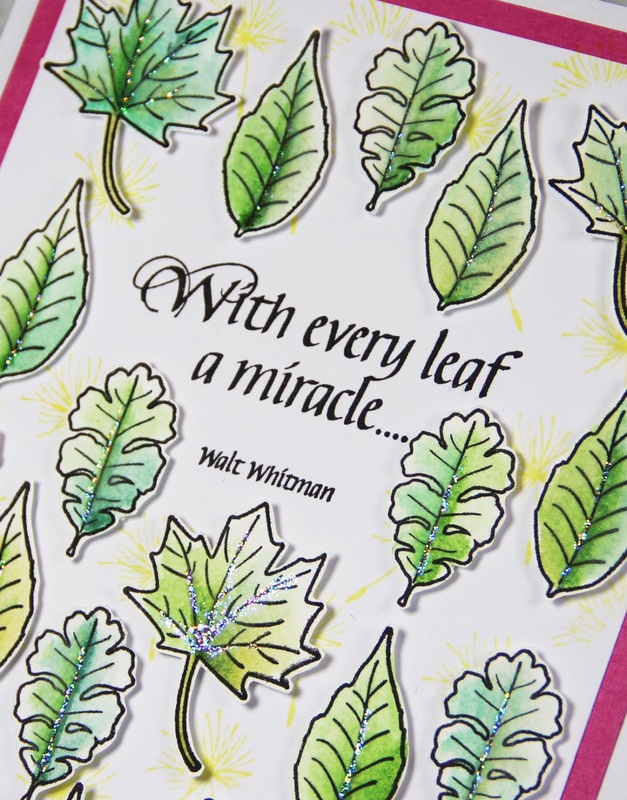 And added a bright pink layer for even more spring-feeling :-). 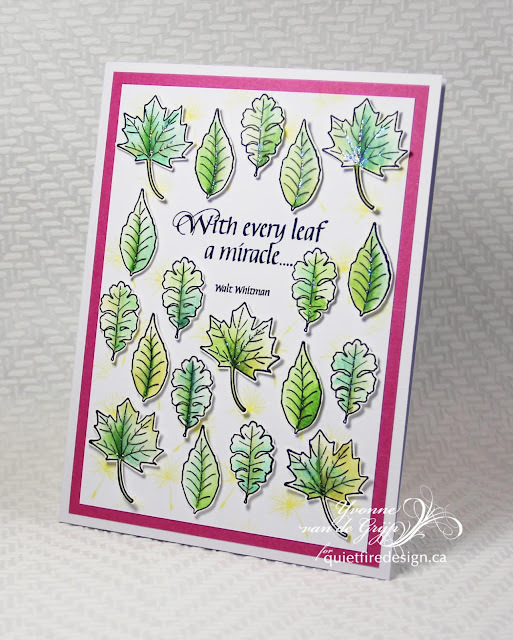 Quietfire Design: Leaves #6082 (set of 6 stamps), A Rustle in the Wind #5593 (set of 4 stamps). and wishing you a happy crafty day!